After a bit of work, we are glad to inform that now we can show you how DHMTLX Scheduler .NET can be coded not only in C# but also in VB.NET. Scheduler .NET samples that provide the rich functionality of our calendar control have been successfully converted from C# to Visual Basic. 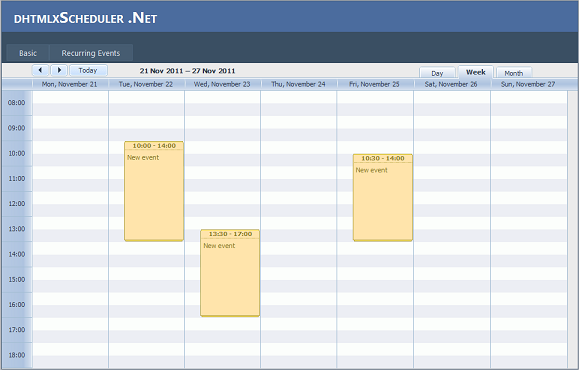 Actually, we have prepared 2 types of Scheduler samples - in ASP.NET and ASP.NET MVC3. 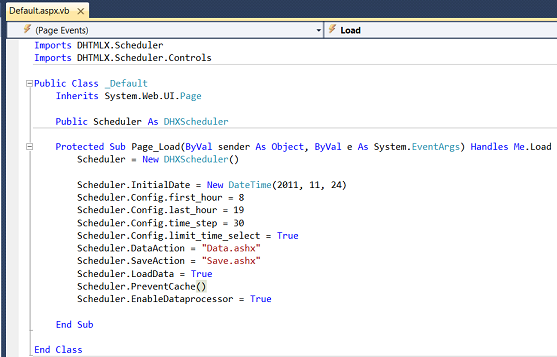 To check the VB.NET Scheduler in action get ready samples right now. Stay tuned for a detailed tutorial! The available samples will be later added to the trial package. 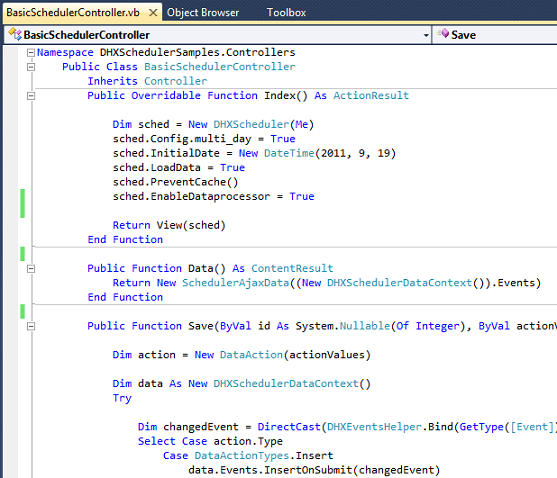 See also this 8 step tutorial to create a vb.net scheduler. If you find this post useful, you are welcome to share it with your friends or add your opinion below. Your feedback is very much appreciated.